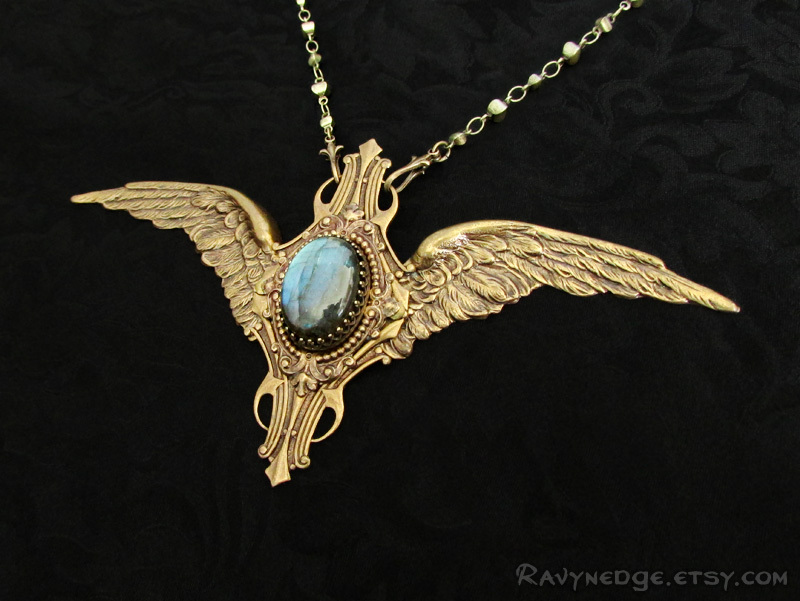 Astral Flight Necklace - Labradorite and Silver Filigree Pendant by RavynEdge. Astral Flight is grandiose in size and appearance. 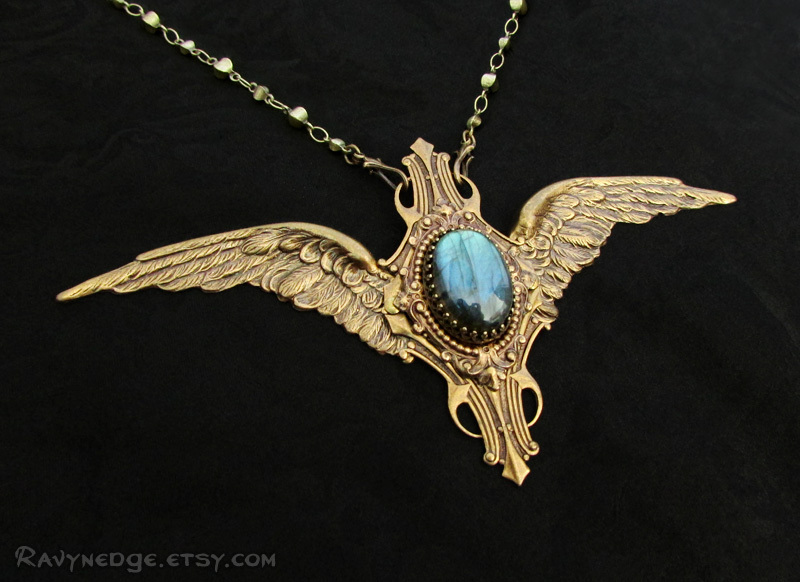 It features an absolutely stunning labradorite stone at the center of an ornate brass setting with magnificent angel wings in flight. This piece was made to impress. 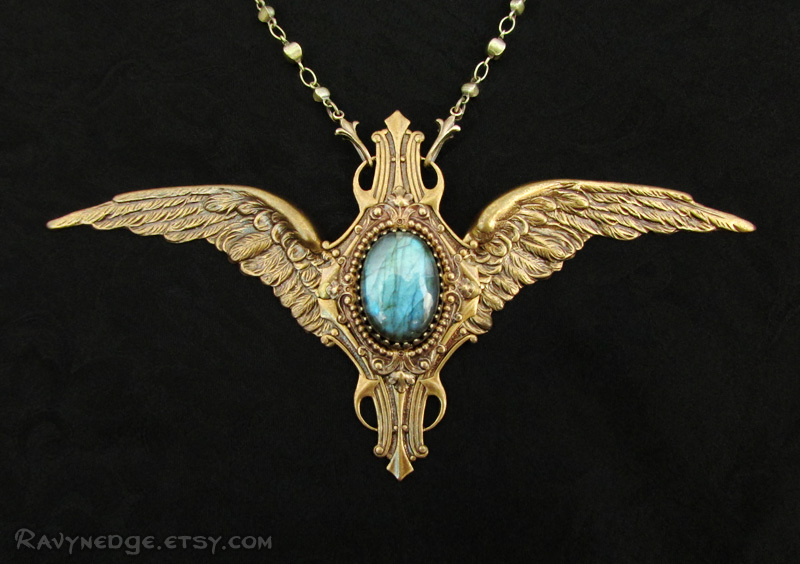 The shape of the pendant and wings beautifully frames the female decollete, but looks equally amazing on a man or a woman. Wear it with a costume or for an everyday fashion statement! Comes in a special gift box that can be hung on the wall. 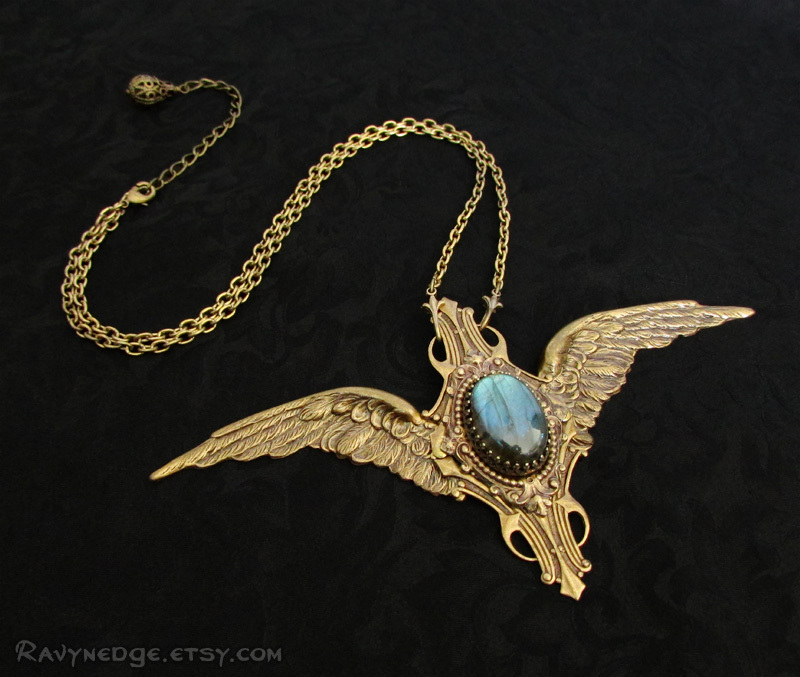 Display this wearable piece of art! The pendant measures a stunning 5 inches (12.5cm) wide and 2.5 inches (6.3cm) tall. The decorative brass chain adjusts from 18 inches (45.7cm) to 20 inches (50.8cm) and closes with a hook clasp. 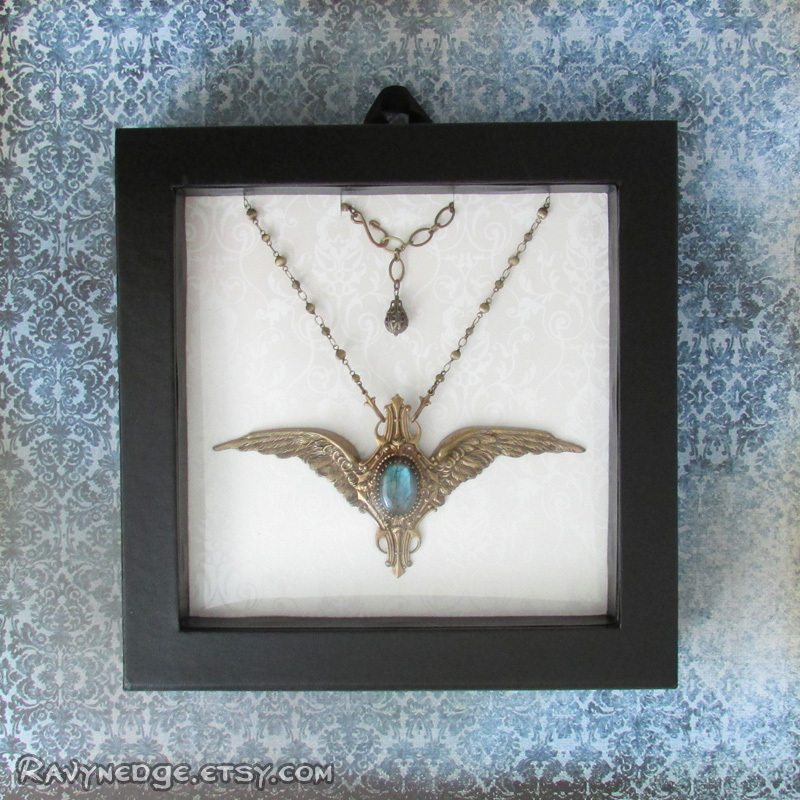 All metal is brass with an oxidized finish to give that wonderfully romantic and gothic look with vintage appeal. Nickel free and lead free. Please Note: The gemstones used in this ring are natural stones.There may be color variations, inclusions, or imperfections within the stone, but that is what makes each one unique.